This little guy is ready for adoption! This item comes from Cat in a Bag, which is purchased from the Daybreak Marketplace during the Halloween season. 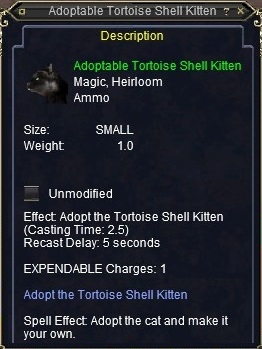 Right clicking this item gives you Tortoise Shell Kitten Familiar.